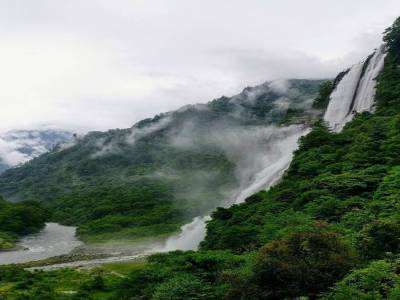 The Jung Water Falls is one of the main tourist attractions of Arunachal Pradesh. The eastern most state of the Indian sub continent is blessed with the resources of the mighty Himalayas. Located on the eastern frontier of the country Arunachal Pradesh is a mountainous state and most of the natural beauty and attraction of the state has emerged due to this topography of the area. The Jung Water Falls is known by many names such as the Bong Bong Falls or the Jang Falls or the Nuranang Falls. 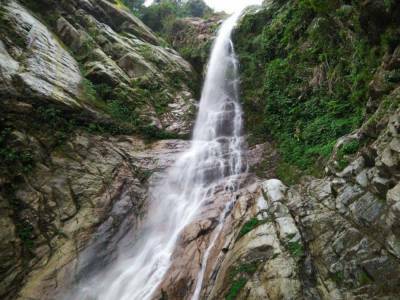 The name of the waterfall however originated mostly from the name of the neighbouring town that in located in the vicinity of the Jung Water Falls. The drop altitude of the Jung Water Falls is approximately about 100 metres. 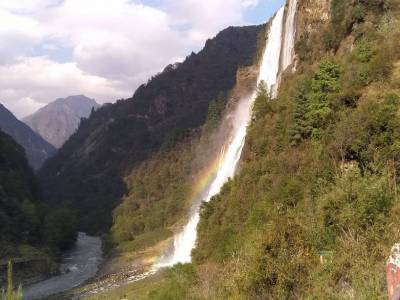 It is the plunge of the Nuranang River into the Tawang River that forms this majestic waterfall. The scenic beauty of the waterfalls is very serene and enchanting. There is also a legend about the name of the waterfalls. It is said that during the Indo-Sino war, Maha Vir Chakra awardee Jashwant Singh Rawat was helped by a local girl named Nura who was later captured by the enemies, thus the naming. There is a local hydel power project at Jung Water Falls that supplies electricity to the neighbouring areas. 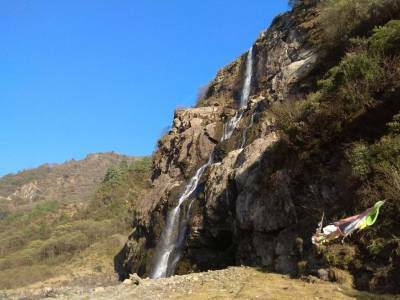 The waterfall is just by the Jang tow which is by the way only few kilometres away from the Bomdila & Tawang connecting road. The best time to visit Nuranang waterfalls is from autumn to spring when the nature remains clear and water flow increases. The fall is quite accessible by roadways. 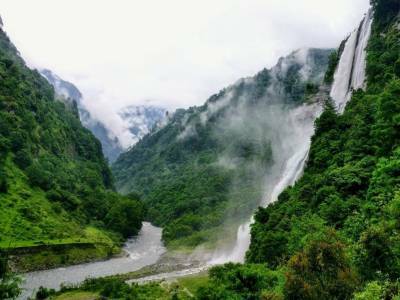 This spectacular waterfall is one of the USP of the Arunachal Pradesh tourism. The exotic vegetation of the verdant highlands, the high octane two drop jump of the broad river and the overall serene topography presents the most photographic experience for the travellers. Get quick answers from travelers who visit to Jung Waterfalls.